Measure opens, clicks, bounces, unsubscribes and more, connect BulkMail to Google Analytics and calculate the return on investment of every email you send. We take care of bounced emails for you and ensure those who unsubscribe are not contacted again. BulkMail works behind your brand. Every email you send will come from your own domain, without any trace of its origin. BulkMail helps you send email campaigns at precise times for maximum impact. 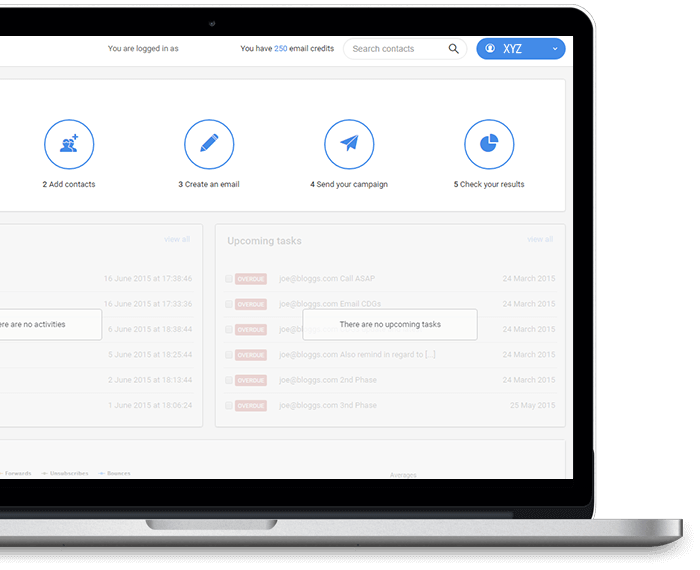 BulkMail has a simple interface where you can easily create and send bulk emails. When you purchase email credits, these credits do not expire. Simply return later and start sending mails. Our RSA-based team can be considered an extension of yours. They're experts in e-marketing and can help you at any stage of your campaign.